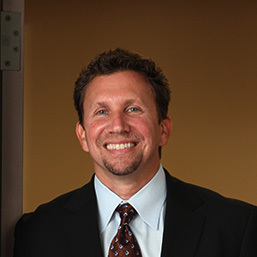 It’s our pleasure to introduce you to Dr. Jay Greenstein of Sport and Spine Rehab . We encourage you to connect with Dr. Greenstein on his website or through social media if you would like to learn more about his services. 2. Where is it located? There are 7 locations in the DC Metro Area (www.ssrehab.com/locations). 3.Describe your business and what you do. Multi-disciplinary chiropractic, physical therapy and rehabilitation company. We make people feel great! 4. How has working with a virtual assistant helped you overcome daily challenges associated with being a business owner ? I’m able to leverage others to do work that I can do but shouldn’t be doing. My time needs to be best spent on building our company’s vision and mission. 5. What advice would you give to anyone thinking about working with a virtual assistant? do it! It’s a no brainer. Just try it once and you’ll clearly see the value proposition. 6. How do you market your business and which methods have proven most successful? Providing world-class service is the best way to build our business. 7. What do you enjoying doing when you are not working? I enjoy working out, skiing, watching and playing sports. This entry was posted in Blog and tagged business, client, rehab, sport and spine, VA, virtual assistance on June 28, 2013 by Michele.